You all know that Honor is sort of the budget subsidiary of Huawei and in case you don’t know, now you know. 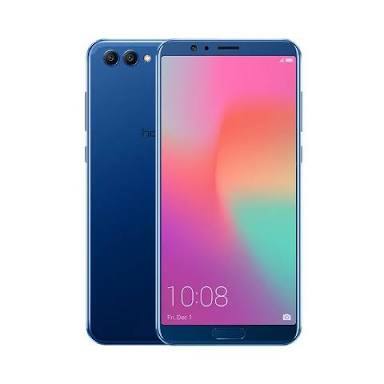 Following the release of the Huawei Mate 10, which by the way costs quite a sum, Huawei decided to release an Honor version that costs way less. The Huawei Honor View 10 is like a budget high-end smartphone, if that makes any sense to you, as it offers some high-end features at a fraction of the price. Don’t get me wrong, the smartphone will cost you quite a bunch but not as much as the high-end smartphones. Just in case you are expecting the attractive premium glass build seen in most smartphones now, then I’m sorry to tell you it’s not here. The Huawei Honor View 10 rather comes with a metallic build with aluminium frame and rear panel. Nonetheless, you still have very slimmed bezels and a nice 18;9 aspect ratio which of course is the way to go in smartphone design lately. It is also very slim just so you know with only a thickness of 7mm. The view on the Huawei Honor View 10 is a modern tall display. Modern in the sense that, it has reduced bezels and crisp resolution, while it is tall because of the fact that it is 6.0-inch in size with an 18:9 aspect ratio. Also, the smartphone boasts of an intriguing 2160 X 1080 pixels resolution. Although, it is still an LCD screen, the colour appears vibrant and brightness is quite okay even in full sunlight. Keeping your smartphone on throughout the day should not be any problem at all considering the ample battery power combined with the dexterity of the hardware. The smartphone makes do with a 3, 750mAh, a little shy off what the Huawei Mate 10 offers. Nonetheless, it would last you a day comfortably even on intensive usage and is armed with quick charge as well as a USB Type-C port for charging. On the picture taking front, it is handled by quite solid cameras, poised to deliver nothing short of impressive. Equipped with two cameras on the rear, one 16MP RGB camera and another 20MP monochrome camera which also helps to gather depth information. One thing missing here is the Optical stabilization (OIS) but it has a 13MP front camera which is a nice addition. Huawei decided not to hold back on the hardware featured on this smartphone has you have the same chipset as on the more premium Huawei Mate 10. Powered by an Octa-core HiSilicon Kirin 970 SoC, operating the smartphone is smooth and fast up to flagship standard. Inside, you’ll also find a Mali-G72 MP12 GPU taking charge of graphics. The good run continues with 6GB RAM and a 128GB of internal storage available on the smartphone. This is however expandable up to 256GB which I doubt most people would bother doing. On the other hand, the Huawei Honor View 10 runs Android 8.0 Oreo alongside EMUI 8.0 on top. 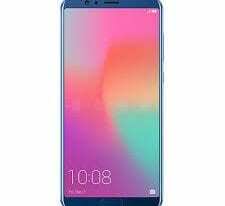 The smartphone is currently on sale in various online stores for about 200, 000 Naira depending on your location and the deal.